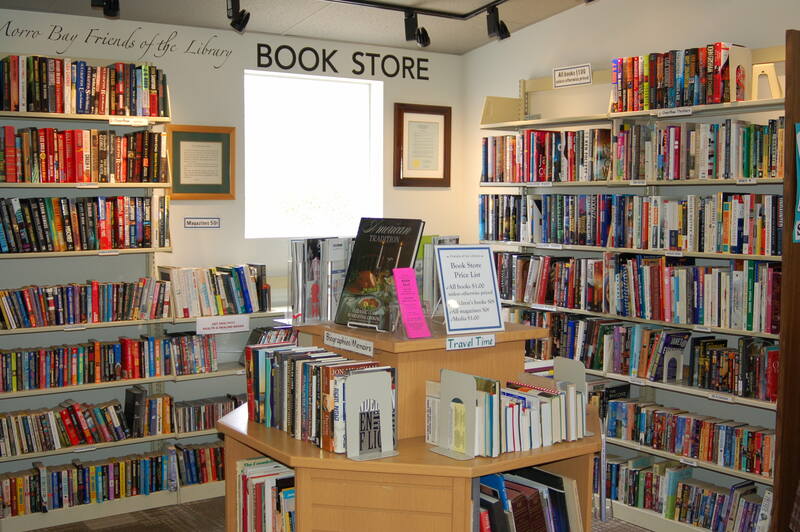 The Friends’ Bookstore operates inside the Morro Bay Library during all regular Library hours. The selection changes daily and is always being refreshed with new donations. Stop by to see what’s new! We also welcome donations of gently used books, magazines and media. There’s an easy way to help the Morro Bay Friends of the Library! Simply shop through AMAZON-SMILE using http://smile.amazon.com and search for MBFOL. Naming the Morro Bay Friends of the Library as your charity will give us a percentage of every purchase you make. Don’t have a Paypal account? Use the “continue” link at the bottom left side of the Paypal page to make a donation with a credit card or bank account.